Whether you’re nearing the start of your retirement or you’ve still got a few years of work ahead of you, it’s likely that you’ve already started planning this next significant phase in your life. But no matter how much you read, how many numbers you crunch and how many pounds you put away, you might still find yourself constantly adopting a pessimistic view on what should be the period of your life set aside purely for you to enjoy yourself. Psychologists describe this as “awfulizing” – focusing on everything that could go wrong, to the point of forgetting about all the positives that are likely to await you. It’s a feeling that many retirees describe having in the countdown to finishing their working life. It’s often not a rational response: even those who have saved plenty for their retirement, mapping out the likely eventualities and ensuring they have a financial safety net, can find themselves overwhelmed – panicked even – by the realisation of the huge amount of free time and opportunities which will soon become available to them. A little bit of worry about the unknown is natural, but it’s when this worry blocks your path to achieving your retirement dreams that it develops into full-on awfulizing. So, if you feel yourself slipping into awfulizing, how can you overcome it? It’s personal to everyone, but there are two steps. The first is to take ownership of those things within your control. 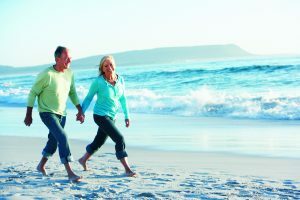 Sound financial planning and taking some professional advice should be at the top of this list, as without enough money to see you through your retirement, your imagined fears may well end up as a reality. Being open and honest about this with family is a good idea to ensure that your plans and commitments once you retire are known and understood by everyone who might be affected. Having taken care of what you can control, the second step is to address those things that you can’t. Accepting that some eventualities simply can’t be planned for is essential to reduce your awfulizing tendencies, but in order to banish them completely you need to become comfortable with uncertainty. View your retirement as a story that hasn’t yet been written rather than a plan from which you can’t deviate. As long as you balance management of the elements you can control with acceptance of those you can’t, you should find yourself free from the awfulizing mindset that can threaten your enjoyment of the best time of your life.